It’s one of the worst nightmares for electric-car drivers: They go out to jump in their car, and somebody forgot to plug it in. Automakers and technology companies have talked for years about developing wireless charging, but it hasn’t developed in part because of disagreements over standards, and, some would say, patents. Last week, one of the largest patent holders in wireless charging, electronics company Qualcomm, sold its wireless charging business, Qualcomm Halo, along with 1,500 different wireless charging patents and patent applications, to a rival MIT technology startup, WiTricity. The sale sparks optimism among observers who hope that bringing the companies’ disparate standards together can knock down roadblocks to wireless charging. Wireless charging for electric cars could be a big deal, because it could allow electric cars to charge virtually wherever they go. Not only could drivers install a charging pad in their garage to ensure that no one ever forgets to plug it in, but charging pads could be installed in public parking spaces and even along roads to give electric cars a charge as they go about their business. Qualcomm has staged several demonstrations of dynamic charging. 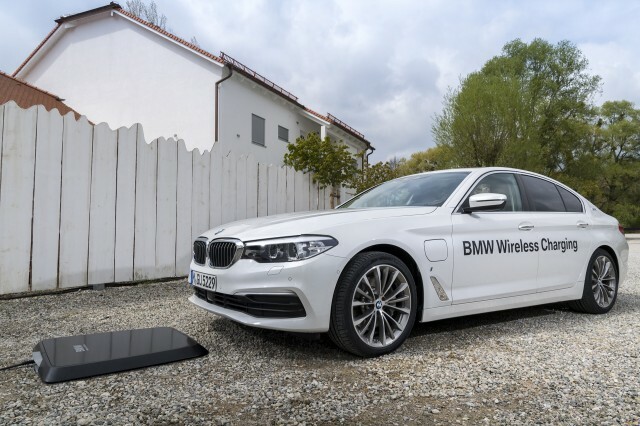 Last year, BMW released a wireless charging system in Europe for its then-new 5-Series. Plugless Power sells aftermarket (stationary) wireless charging stations for the Tesla Model S, the Chevrolet Volt, the Nissan Leaf, and the BMW i3. Perhaps with this new deal, we’ll see more such efforts.